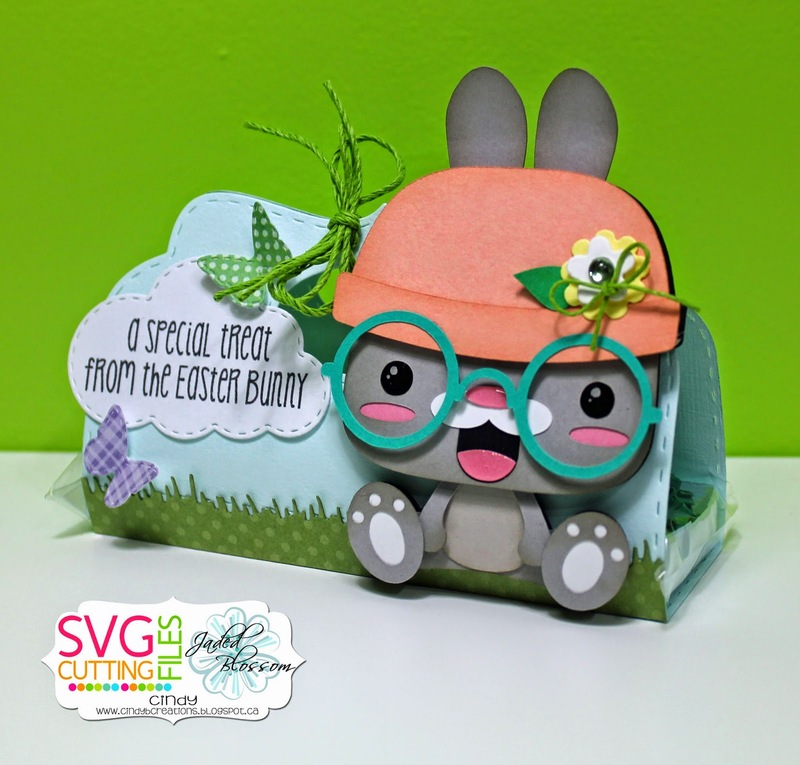 Jaded Blossom: A Special Treat From the Easter Bunny!!! 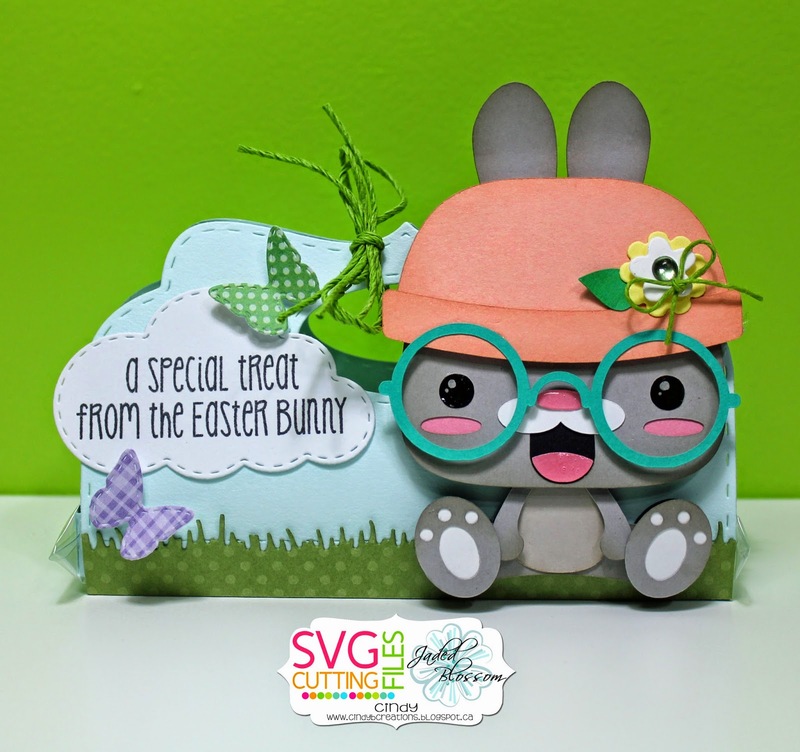 For todays post I made a cute Easter set to gift to one of my friends little one!!! 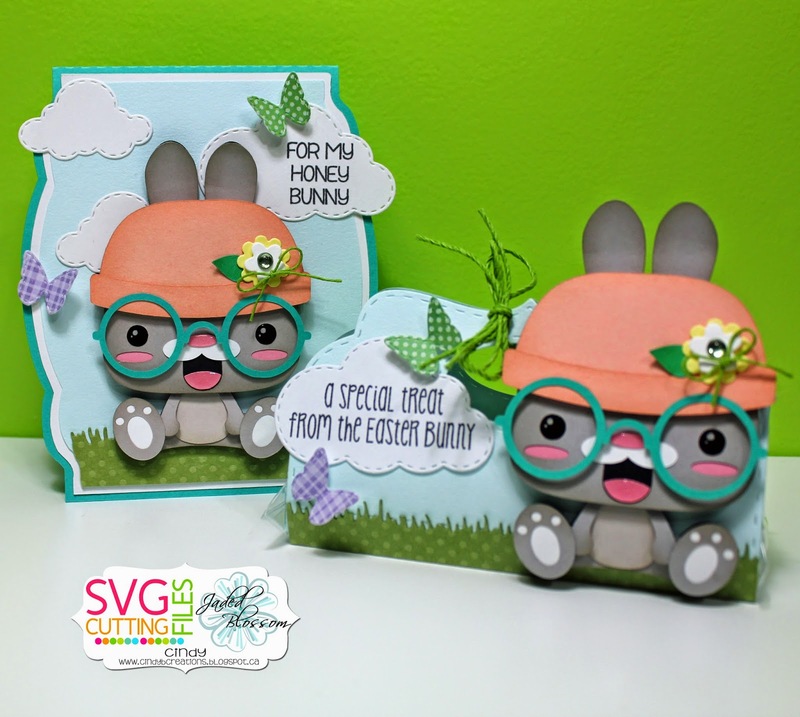 Bonnet Bunnies for the cute bunnies and the Fancy Label Card Base for the card base. Oh and I always make another layer to my cards just by cutting the layer provided smaller. Your card and treat holder are soooo cute, They will loVe them. Thanks for sharing.